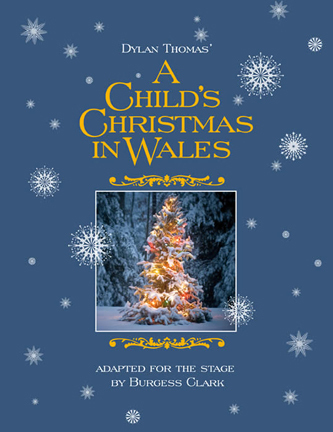 Dylan Thomas’ "A Child’s Christmas in Wales"
Boston Playwrights’ Theatre and Boston Children’s Theatre will join to co-produce a new adaptation of the Dylan Thomas poem "A Child’s Christmas in Wales" from November 27 - December 23 at the Boston Center for the Arts Plaza Theatre, 539 Tremont Street in Boston. The setting is Swansea, Wales, and the time is Christmas 1923. "One Christmas was so much like another," wrote Thomas. Will the fire in Mrs. Prothero’s kitchen finally burn the house down? Will a hole have to be cut into the roof for the Christmas pine? And who sent young Dylan that mysterious package? This timeless Christmas classic embraces memories of holidays filled with presents, newly-fallen snow, funny adventures, and odd relatives. Burgess Clark, Boston Children’s Theatre’s Executive Artistic Director, has transformed the poem into what both companies hope will become an annual Boston holiday tradition. Originally commissioned and performed by the National Theatre of the Deaf, this new adaptation stays true to Thomas’ vision, all while leading to new wonderments. Kate Snodgrass, Artistic Director at Boston Playwrights’ Theatre, added, “It was natural fit to work with BCT to bring this new adaptation to life and a joy to watch Burgess bring a new point of view to a classic holiday story." The company features Margaret Ann Brady, Mary Callanan, Adam Freeman, Steven Gagliastro, Anne Gardiner, Meagan Hawkes, Coleman Hirschberg, Stephen Libby, Allan Mayo, Robert D. Murphy and Linnea Schulz. In addition to the regular schedule of evening performances, there will be five 10:00 a.m. matinee performances available for student groups.